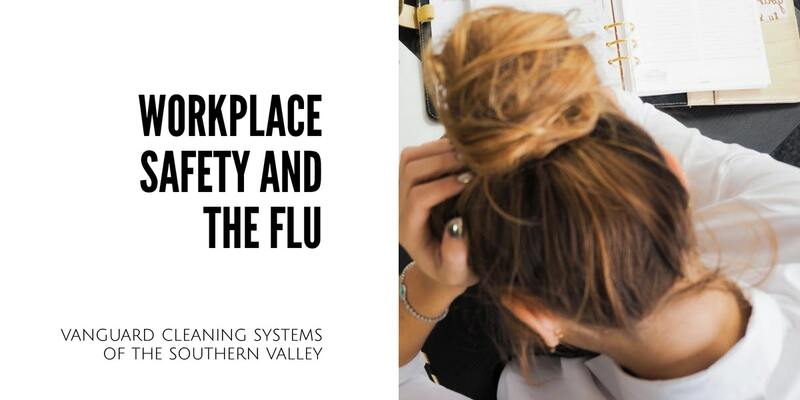 The Occupational Safety and Health Administration (OSHA) has established specific guidelines alongside detailed workers' rights in regards to the facility owner(s) and manager(s) responsibility to ensure a safe and healthy work environment during flu season. The norovirus vaccination is not always effective--specifically in pandemic years. Pandemic flu outbreaks require increased infection control procedures. Most workplaces were insufficiently prepared to protect workers in the event of a pandemic outbreak. The precautions identified in this guidance provide a baseline for workplace precautions during a seasonal flu outbreak, but they may not be enough to protect you during a pandemic. Your employer’s pandemic flu plan should be based on a “worst-case” scenario – one in which the virus causes severe illness and death in larger numbers of people. Planning for the worst-case ensures that employers will have the right type of equipment and enough of it on hand to protect you. It also ensures that employers have planned for additional control options so that they can pick the right combination for the specific pandemic flu virus. [...] employers provide their employees with working conditions that are free of known dangers. Wash your hands before eating, or after coughing, sneezing, or wearing gloves, or coming into contact with a contaminated surface or contagious individual. Avoid touching your face, or rubbing your eyes or nose with unwashed hands. Cough or sneeze into a tissue or your elbow. Reduce contact with infected individuals as much as possible, and try to avoid group meetings by leveraging electronic forms of communication. Conventional wisdom has taught us that increasing cleaning procedures during flu season, especially in areas of a facility experiencing higher than acceptable infection numbers. While the guidelines coming from the U.S. Centers for Disease Control & Prevention (CDC) state that increased cleaning procedures are unnecessary, the guidelines do assume a frequency of cleaning that is likely uncommon in most classrooms and businesses. The CDC says that to deep clean for the flu, schools need to both clean and disinfect — cleaning to remove dirt and germs and disinfect to kills the germs — but no special procedures are needed. But while cleaning processes are crucial to infection control, Centers for Disease Control and Prevention (CDC) guidelines say that extra efforts may not be necessary. Typically, this means daily sanitizing surfaces and objects that are touched often, such as desks, countertops, doorknobs, computer keyboards, hands-on learning items, faucet handles, phones, and toys. An experienced janitorial and facilities maintenance team can help you identify common germ hot spots and develop a plan that cleans and disinfects high-traffic areas and high-touch surfaces daily to ensure the health and safety of all workers. Depending on the preparedness of your organization to staff and train a custodial team capable of meeting the daily cleaning and disinfection recommendations established by OSHA, outsourcing your organizations needs to an experienced third-party is probably your best bet for ensuring everyone is as safe and protected as you can make them. Maintaining a safe and healthy workplace or school environment is mandatory for public health, as well as the operational performance of any organization and its occupants. However, managing a well-trained and disciplined custodial and facilities maintenance team in-house is a daunting task--doing so while adhering to OSHA regulations and CDC guidelines can be cost-prohibitive for many schools and organizations. If you would like assistance with identifying common germ hot spots throughout your facility, or to learn more about the advantages of high-performance green cleaning and infection control services for your organization--contact us today for a free quote!